poshto is hard to grind in a mixergrinder.any suggesion? Have you tried grinding with little water and some chilies in a wet grinder? I hope that helps. Regarding grinding anything to a paste; always grind in a dry grinder without a drop of water till the spice, either mustard or Poppy Seed or any other spice, will be grinded throughly & you will find fine oily grinded substance. Then add water as you need & grind again. You will get the best homogeneously grinded spice. A Small tips from daily personal cooking experience!! I discovered your blog from Facebook. The recipies are really good.The recipies and the process are authentic, just the way made at home. I shall make aloo poshto ur version today 🙂 thanks, ur latest post of potol bhaja and dal to is fab! Thanks for the comment. :). Please do let me know how it turned up, and if you make any customization to the spices please write it down here for me and our readers. That would be very helpful. 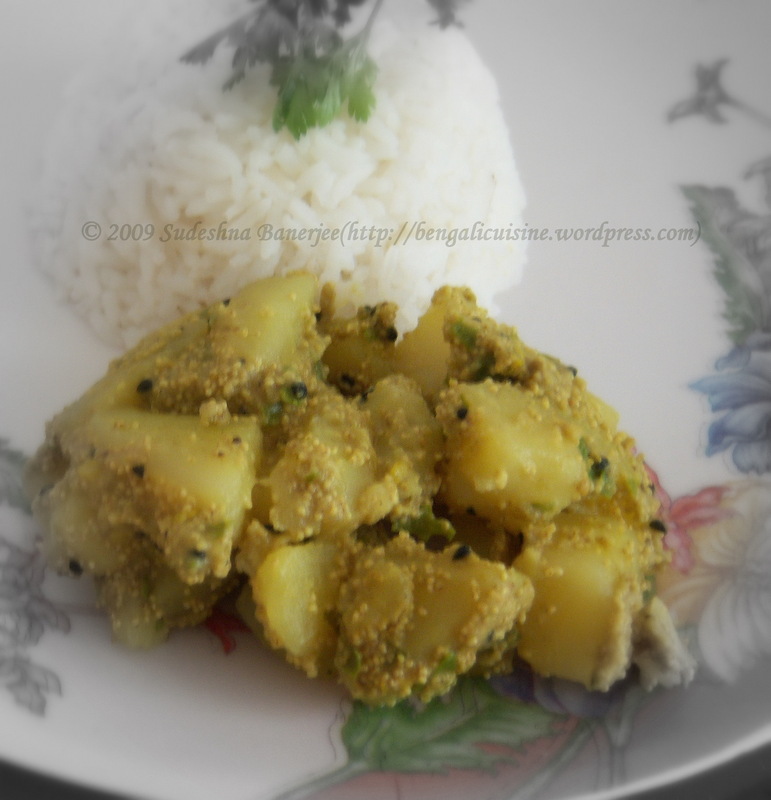 Simple and yummy Potato curry! !